We all require personal spaces in which we can be our true selves, focus on certain tasks with minimal distractions or protect our clientele with the required privacy. Whether your home is situated in a busy neighbourhood or your office, clinic, or salon in a crowded commercial spot, such as CBD, blocking out the outside world without darkening your premises, can be a definite boon. There are many ways to secure your premises and protect your privacy from exterior glances or harsh sunlight. A thick curtain, more wall-less window, or even boarding up a pane under special circumstances. But the most popular one in Singapore these days seems to be the Frosted Window, whether applied to a casement window or a sliding one. This is due to the inconvenience of the other options. Thick curtains collect dust and are a bother to keep clean. Walls and boarding up creates a claustrophobic setting. When the intention is to be able to do and think as you feel, without feeling restricted, attractive frosted windows are the ideal choice. Why are frosted windows touted as the best option to secure privacy? Frosting can be achieved via tint films or by treating the window glass itself. 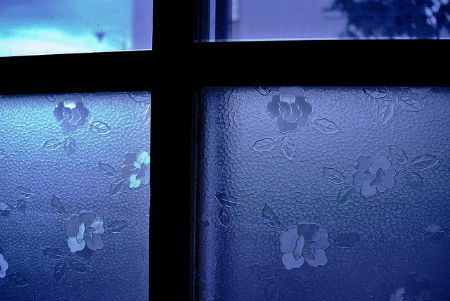 Techniques such as sandblasting and acid etching are applied directly to the glass and can be used to create beautiful patterns while increasing privacy levels. Vinyl films on the other hand, are available in a variety of colours and can even be used to create a logo on your window or glass partitions. All three methods are economical, durable and aesthetic. They also last long and offer hassle-free maintenance. Though there are numerous advantages of frosted glass, we will be addressing just one and the most important of them all – Guarding your privacy and personal choices. This is especially important if your office or home is located in a busy locality. Apart from the office, your salon, clinic, nursery or hobby class premise will not invite undue glances from passersby. If erected on your external windows, frosting can block harmful UV sunlight, letting in only the required amount to keep your internal space lit up. If your work requires focused concentration, with lessened outer visual disruptions, frosted windows are the ones to go for. Intrusion from the external environment need not only be via individuals but also the exterior ambience and colour scheme. And if by chance your sleek office or salon happens to have something unsightly right outside the window, do not fret! Frost up the glass and create your own ambience and company image. Plain glass does a weak job of keeping environmental temperature at bay. Frosted glass on the other hand, can actually limit the heat that enters your premise. So your privacy can be maintained while you save on air conditioning and other heat control expenses. A highly practical application of frosted glass is in the bathroom or toilet cubicle. This also makes it easier to keep the areas clean and hygienic for longer periods of time while ensuring optimum privacy. Hence, frosted glass is not only the safest but also the most economical and aesthetic way to protect your premises. So, don’t get left out and try the popular frosted approach today!